The Magic Wallet Plus was created by the Magic Wallet Company to expand on our successful original idea. 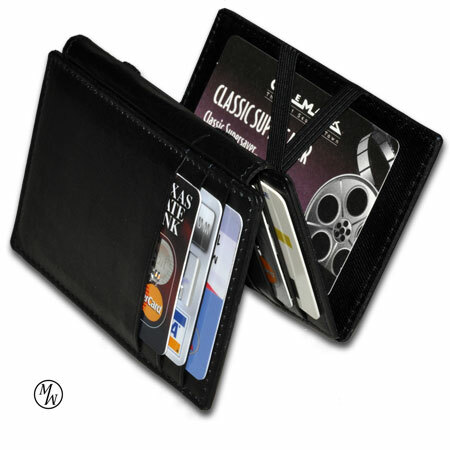 The Plus model incorporates all the features of the Original Magic Wallet, but adds an extra fold with storage space to accommodate up to six additional credit cards, or more! Even with the extra fold, the Magic Wallet Plus maintains its sleek, thin design to rest comforably in any pocket while gripping bills, receipts, and credit cards tightly. We use durable elastic straps for the magic wallet mechanism.